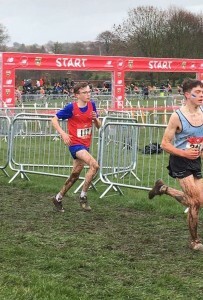 Sam Marsh did the Yellow and Blue proud running for Derbyshire in the English Schools Cross Country with a strong 10th place and earned an international vest in the process. “Sam took part in the English Schools Cross Country Champs. 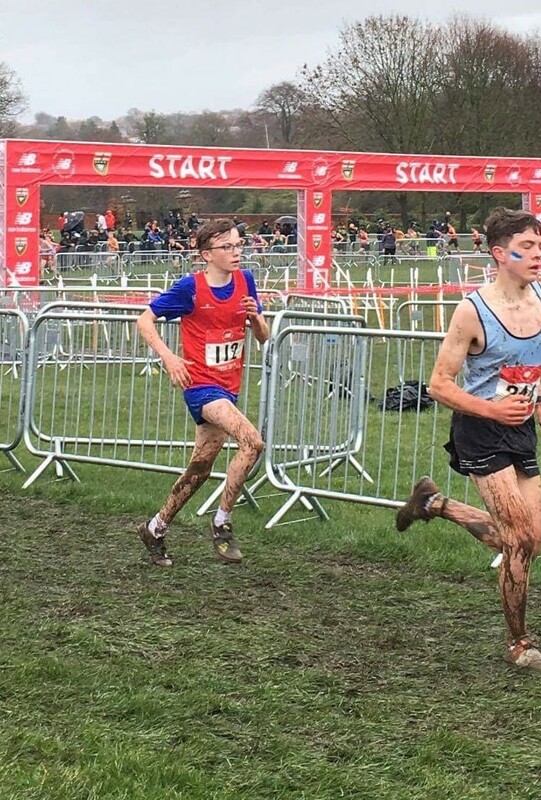 He was greeted on Saturday with perfect cross country conditions – hills, mud, rain and 330 competitors in the intermediate boys. Sam had what he described as the race of his life! Moving forward the whole race and coming home in 10th place earning his first international vest racing in an international mixed relay in Dublin on Saturday. As an added bonus he lead Derbyshire to 3rd place overall in the team competition. I’m really proud of Sam as he’s had a difficult December and January but he has listened well and got himself to Leeds in the best condition possible. Great stuff Sam, you’ve done the club proud.